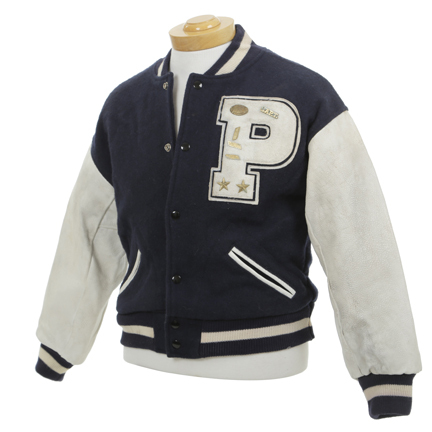 This infamous letterman jacket was worn by “Aaron” portrayed by actor Harper Hill in the television series “Married… with Children”. 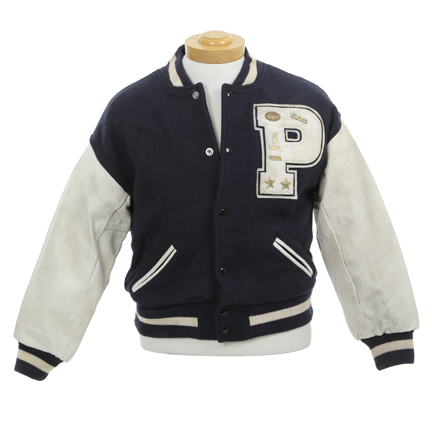 This jacket is constructed with a navy blue wool, white leather sleeves and slash pockets, navy blue and white striped banded collar, hem, and cuffs, six-button front closure, the iconic white “P” Polk patch, and seven brass pins including “Capt.” and a football. 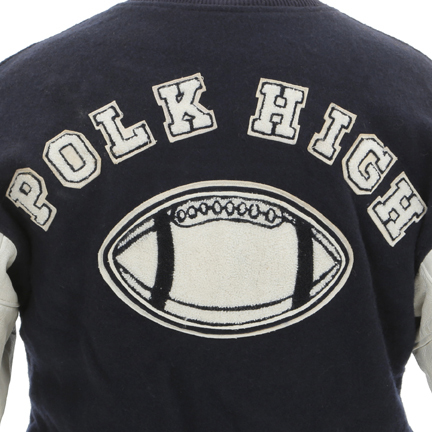 White “POLK HIGH” and football patch on the verso. 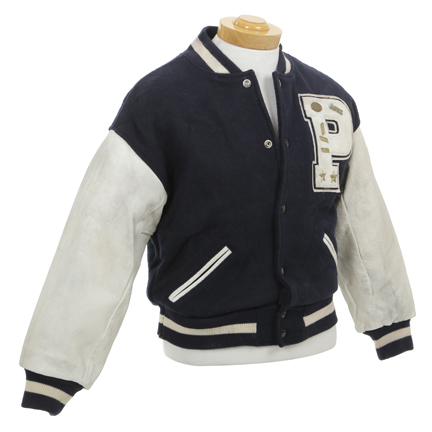 Mr. Harper wears the letterman jacket during three guest appearances including; Season 8 Episode 8 “Scared Single”, Season 8 Episode 15 “Honey I Blew Myself Up”, and S8 Episode 19 “Field of Screams”. 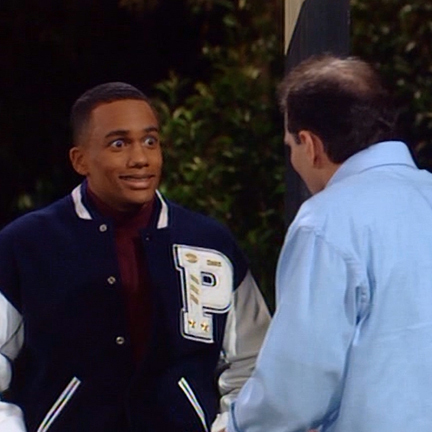 The most notable of these appearances is in "Scared Single" when “Aaron” (Hill Harper) walks into “Al Bundy's” (Ed O’Neil) shoe store looking for a job. After recognizing “Mr. 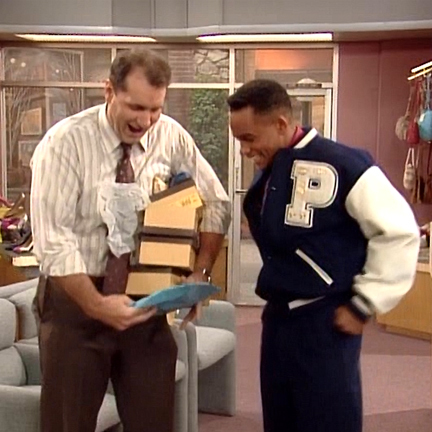 Bundy's” name, “Aaron” is star-struck that he is meeting his All-State football hero. 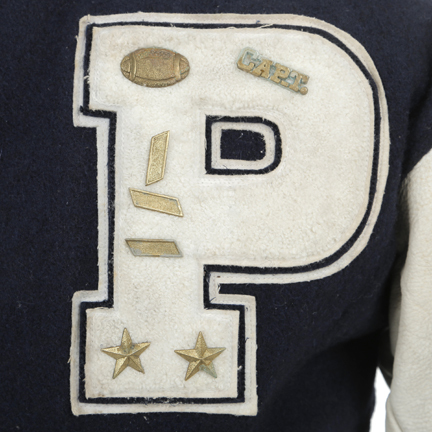 Both guys went to Polk High and bond by singing the school's song and talking about football. After bonding over football, “Mr. 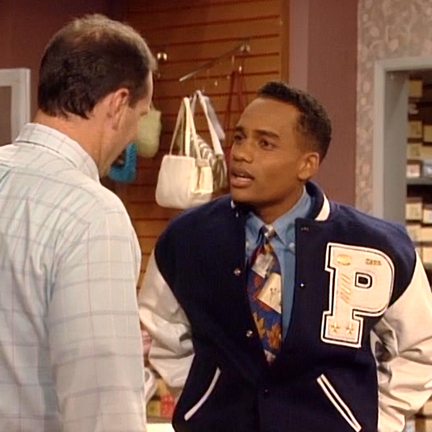 Bundy” hires “Aaron” to work in his shoe store.